Front: Lapel collared. Double breast-styled golden button front closure. Sleeves: Long sleeved zipper cuffs with different shaded hem-line. Pockets: Four frontal flapped pockets. The popular game, Bioshock Infinite has inspired our Booker Dewitt vest. The gaming freaks, often look to copy their adored game character’s attire, into their styles. 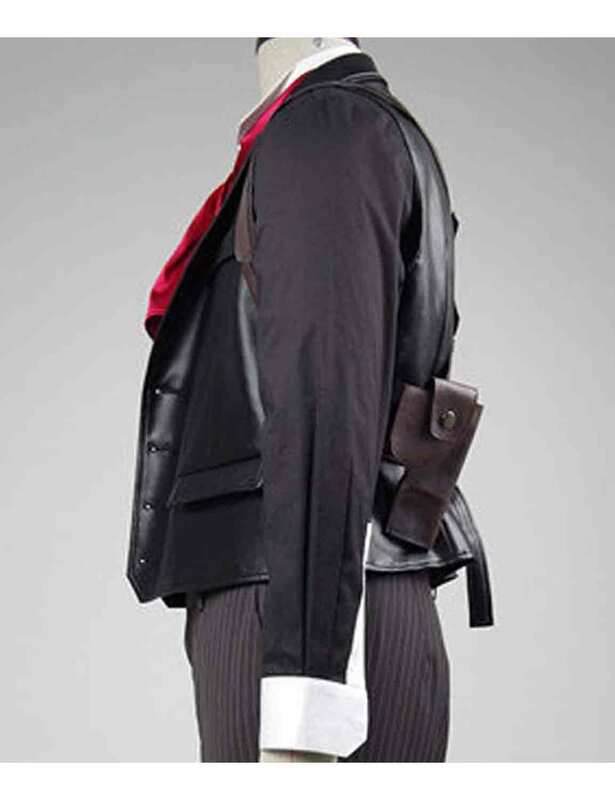 Therefore you fans of Bioshock Infinite’s character Booker Dewitt, need search no further for the right piece! 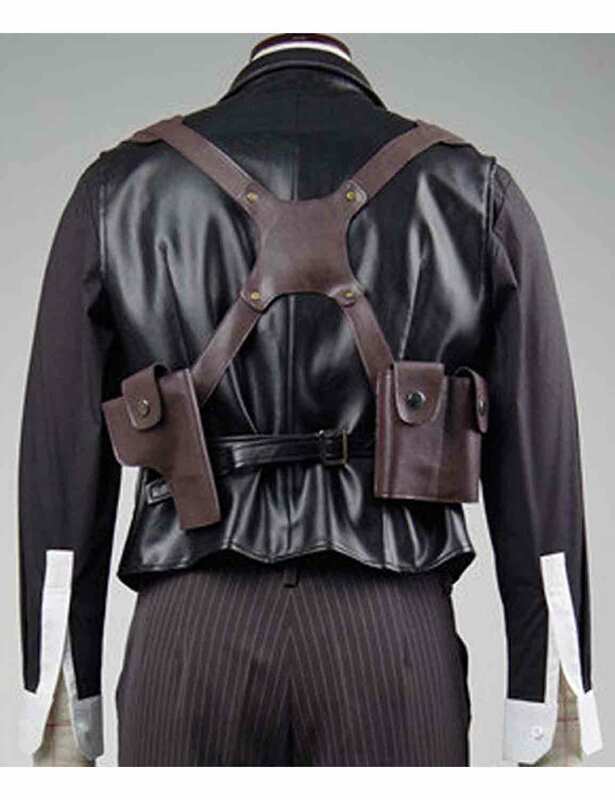 Our, Bioshock Infinite leather, that’s manufactured from real synthetic fox leather. 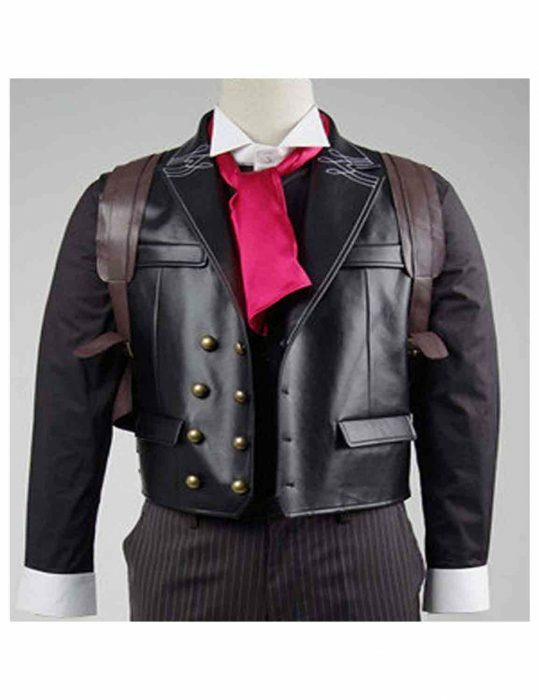 The Bioshock Infinite vest, is inner lined with soft fiber viscose and with its lapel collar and double breasted style front golden colored studded buttons’ closure, the Booker Dewitt leather vest, has enamored followers and we offer you the exact same! The Booker Dewitt vest, with its multiple front flap pockets, would be quite useful for you when, you want to step out in style but, want all your essentially necessary items, stored on your person as well- looking admirable too; don’t worry, we offer you just that, and more with our, Bioshock Infinite leather vest!